Running land-based casinos with a great number of fans among the veteran players as well as the newbies, Aspers Casino has become a very popular name in the industry. These casino operators have also moved onto the online gaming platform to reach a larger audience without the need of them having to visit the land-based casino. The online platform also features a number of games to play, and we take a look at some excellent features which the casino offers. Having more than 400 games, the game collection on this casino is quite large. 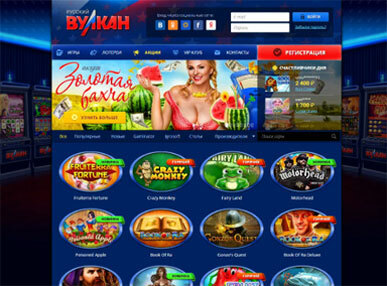 This collection is inclusive of titles in the live casino, table games, and slot categories. The games in the slot section provide the most diversity in the casino with lots of new releases as well as the popular slot games in the casino industry. If you are out to win big, then you will find the progressive jackpots in this casino to be a great addition. With only roulette and blackjack titles in the live casino category, this is the only area where the Aspers casino needs to incorporate a variety as the table games also come in a lot of different titles with varying features to enjoy. In an overall look of things, the games available on the site will be enough to spur an excellent gaming experience among players. It’s a good thing that most of the titles which are quite popular make it to the list of slot games on this casino. With more than 400 slot titles, it is not surprising to find games like Fluffy Favourites, Twin Spin, Starburst, Koi Princess, Pixies of the Forest, Rainbow Riches, and more. To make it easy to navigate through the slots menu, there are categories like Food and Fruit Slots, New Slots, Exclusive Slots, Jackpots, and Featured Slots to pick from. There are other slot categories, but this is to arrange the slots using the number of lines available such as 50 or over and ten lines or less. To meet the demands of players, there are frequent updates which bring new slots to the Aspers casino collection. There are also some progressive slot games, 19 to be precise, which players can try out. With a famous casino games developer like NetEnt on the scene, there are currently 11 live casino games which players can enjoy on Aspers Casino. These 11 games include three blackjack games and eight roulette games. The gaming experience is excellent but limited to just two categories may tire players quickly. Among the variety of games available on Aspers Casino includes a collection of table games which amount to about 30 titles. A large portion of these titles consists of games like roulette and blackjack with versions like the European Roulette, 3 Wheel Roulette, Hi-Lo Blackjack, and the Multi-Hand Classic Blackjack. To complete this list and also attract a wider audience, there are other titles like the video poker games, and casino hold’em, and baccarat. 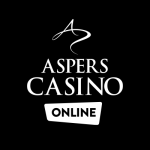 For players familiar with land-based casinos, especially those run by Aspers casinos, then visiting the online platform of the casino can get you both high-quality and intriguing gameplay. The casino also offers bonus features to anyone who registers. Simply sign-up to create an account on the casino and you automatically qualify for a ‘no deposit bonuses’ on the casino as well as others like free spin bonuses. The experience on this casino is of the highest quality thanks to the availability of a lot of titles which rank among the best in online casino gaming.